LONDON, UK, February 14, 2014 (ENS) – Wildlife poachers watch out! At the Illegal Wildlife Trade Conference, held Thursday in London, world leaders from 46 nations agreed on“decisive and urgent action” in a concerted effort to pull elephants, rhinos, tigers and other endangered species back from the brink of extinction. 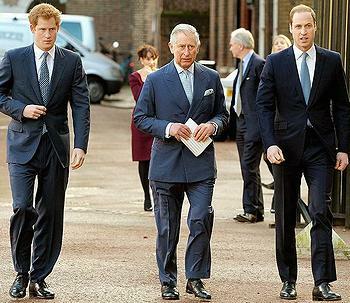 The conference, chaired by British Foreign Secretary William Hague and attended by the Prince of Wales, the Duke of Cambridge and Prince Harry, adopted the London Declaration by acclamation. It pledges measures to eradicate markets for illegal wildlife products, ensure effective legal deterrents, strengthen law enforcement, and support sustainable livelihoods for communities affected by wildlife crime. Conference participants committed more financial resources to implement these measures, and to assess progress made in delivering on these political commitments. Key nations, including Botswana, Chad, China, Gabon, Ethiopia, Indonesia, Russia, Tanzania, Vietnam and the United States committed to end the illegal trade in rhino horn, tiger parts and elephant tusks that fuels criminal activity worth over $19 billion each year. CITES Secretary-General John Scanlon told the delegates that “human traits such as greed, ignorance and indifference” are driving the illegal wildlife trade. He explained that CITES focuses on collaboration across source, transit and destination states to problems rather than seeking to attribute blame. “The benefits of working together in a constructive and pragmatic manner were evident earlier this week with the release of the results of Operation Cobra II, a highly successful collaborative operation between 28 States in Asia, Africa and North America,” said Scanlon. The conference heard from the Presidents of Botswana, Chad, Gabon and Tanzania, and the foreign minister of Ethiopia, who announced the Elephant Protection Initiative to secure new funding from private and public sources for implementation of the African Elephant Action Plan. 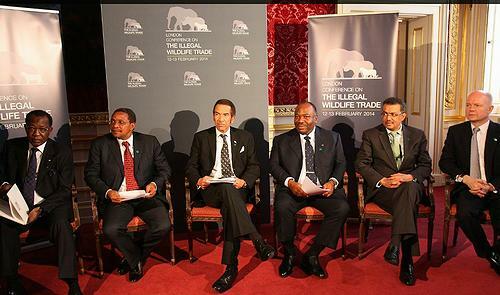 Under the Elephant Protection Initiative, these African leaders all pledged to refrain from any trade in ivory products for a minimum of 10 years and to close their existing domestic ivory markets. The British charity Stop Ivory announced it will make an initial $2 million available to launch the Elephant Protection Initiative. “The advancement of this critical initiative by African leaders makes a clear statement to the world that the continent is leading with an African solution to the elephant poaching crisis,” said Ian Craig, who chairs the Stop Ivory Board of Trustees. The Global Environment Facility, GEF, the world’s largest funder of environmental initiatives, is among the institutions that pledged to open their wallets to fund these efforts. 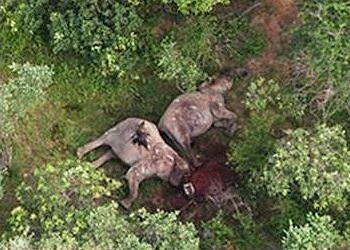 Chad’s President Idriss Déby announced the destruction of his country’s ivory stockpile to protect Central Africa’s savannah elephants. On February 21 President Déby will lead his cabinet to Zakouma National Park for the burning of 1.2 tons of ivory that have been stockpiled in Chad over the past five years. The ivory burn is part of Zakouma National Park’s 50th anniversary event, which will commemorate the 23 guards slain on duty at Zakouma since 1998. He said the ivory burn signifies Chad’s firm commitment to combating the elephant poaching that has wiped out the region’s once thriving elephant population. Fifty years ago the Republic of Chad had 50,000 elephants; today the population is estimated at 1,500. In London, President Déby said Chad has a new National Elephant Protection Plan that includes the establishment of a National Elephant Monitoring Centre to track and respond to threats to the giant animals. The monitoring centre has been established and is being managed by African Parks under the auspices of the Chadian Ministry of Environment. A national unit of 350 guards is being trained for deployment to deal with specific threats to elephants. A national toll-free number has been set up to enable communities to report threats, even in remote rural areas. Botswana will host a conference in early 2015 to review progress against the commitments made in the London Declaration. “Delegates should now go home and convene meetings with chiefs of police and customs, immediately mobilizing the law enforcement community to gather and analyze intelligence and so work towards dismantling the criminal networks behind the multi-billion dollar illicit wildlife trade,” said Rice. EIA especially welcomes agreement at the conference for: greater international cooperation; using legislation, investigative techniques and enforcement already in use against other forms of organized crime; the deployment of national task forces and transnational organized crime units; and the international sharing of intelligence and joint operations and treating the illegal wildlife trade as a serious crime.